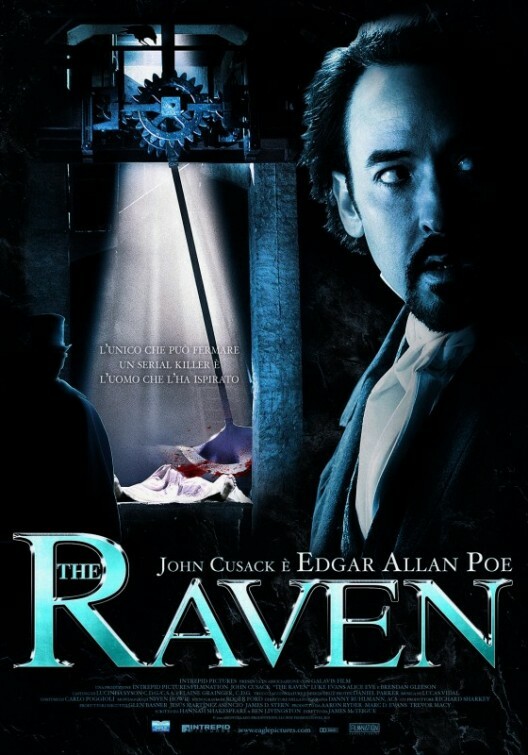 Check out the new Italian poster for THE RAVEN. ames McTeigue is directing the flick that stars John Cusack, Alice Eve, Luke Evans, Brendan Gleeson and Oliver Jackson. Look for this film in theaters on April 27th.